Way to go Nova Scotia. 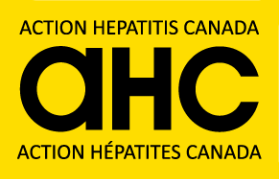 Expanded access to and coverage for treatment of chronic hepatitis C is now available under the provincial Pharmacare plan, similar to the new arrangements in BC, Alberta, Ontario, Saskatchewan and Quebec; more responses to the New Canadian Testing Guidelines; an important letter from Dr. Jason Grebely on DAAs and HCC, an update on I-MAK and China and great news from Australia about clearing HCV from prisons. New Canadian Testing Guidelines Released: On April 24, 2017, The Canadian Task Force on Preventative Health Care (CTFPHC) published its HCV Screening Guidelines in the CMAJ. The guidelines make the recommendation to continue screening those with known risk factors, but does not include a recommendation to screen the age cohort born between 1945-1975, which has been recommended by many of Canada’s top liver specialists and HCV advocates. ManAlso, a new documentary on HCV and First Nations has been released. And more from ILC on HCV &HCC, and 8-week treatment for genotype 3. This week we have the concluding report from HepCBC’s Roadtrip to BC’s Interior 2017 which includes a slideshow and a summary of what transpired during the whole outreach. As well, this week we have reports from the International Liver Conference 2017 in Amsterdam with updates on HCV and HCC, and HCV and cardiovascular disease.